Well, as usual, we have a ton of new releases. Can you believe it has been almost 200 releases in 9 years? Me neither. Do us a favor and buy some stuff HERE, please?. All purchases made between now and the end of November, will receive one random free LP or 2x7"s per $30 purchased. Keep it for yourself or give it to a friend! 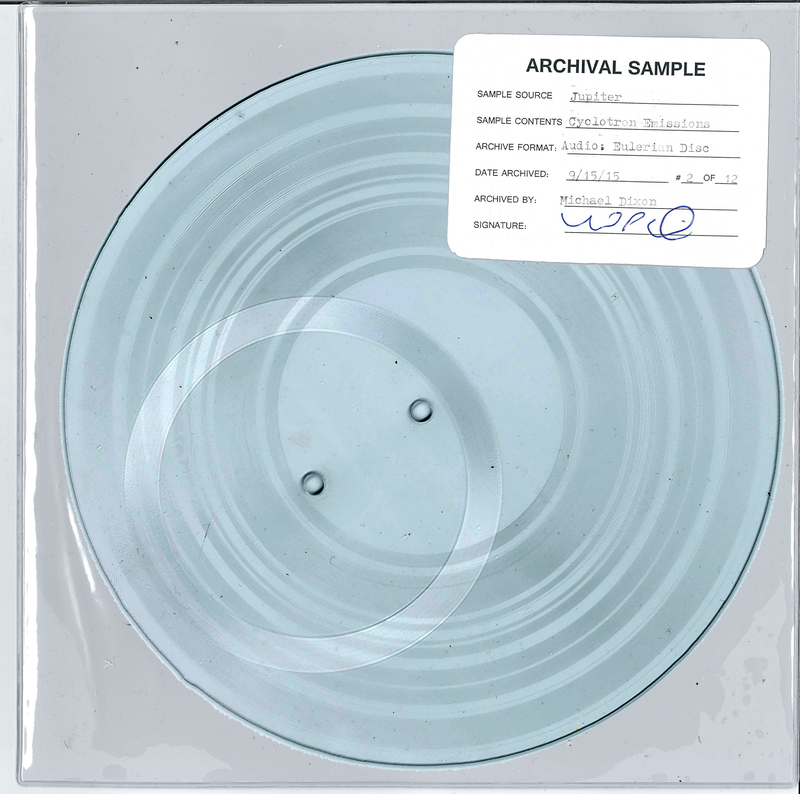 When the pressing plant sent us the original black test pressings for RESEARCH, they also threw in about 20 "color test" pressings, that were just the press guys playing around with weird splatter designs. Almost all of them were unique... We weren't really sure what to do with them, as they fell outside of the Soild Gold model, but are really too cool to sit in the overflowing PIAPTK warehouse of misfit records, so Seth Kaufman offered to hand-draw covers for them. 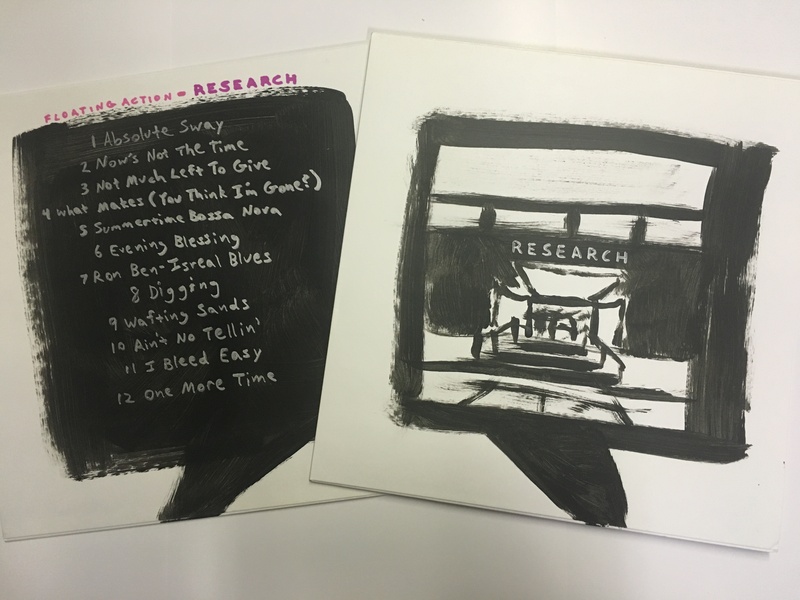 So, he has 10 copies, and we have ten copies, each of which has a hand-painted recreation of the original RESEARCH album art, with a hand drawn/written track listing on the back, and a "color test" pressing. 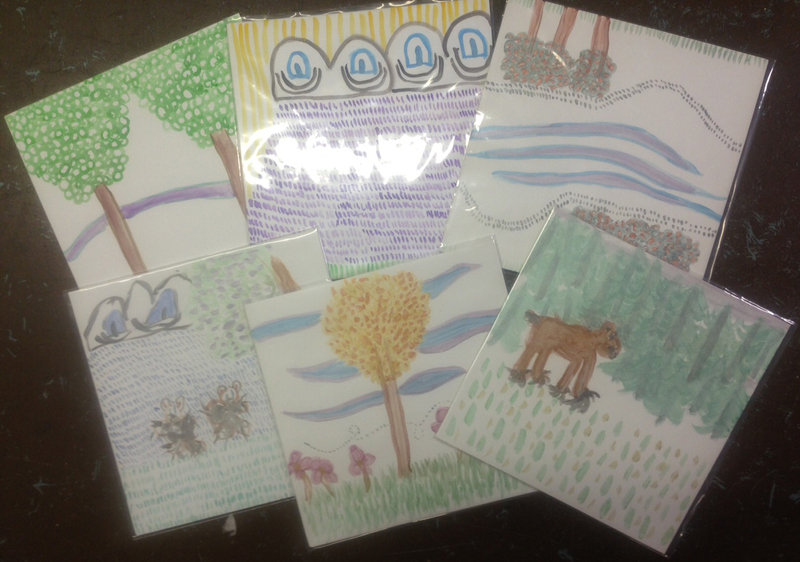 Pictured are a few of the random designs. Cub Country: Slow Ascending/Northern Passage 7"
You might remember Cub Country as the side project of Jets To Brazil bassist/Handsome singer, Jeremy Chatelain and from their time on Jade Tree Records. 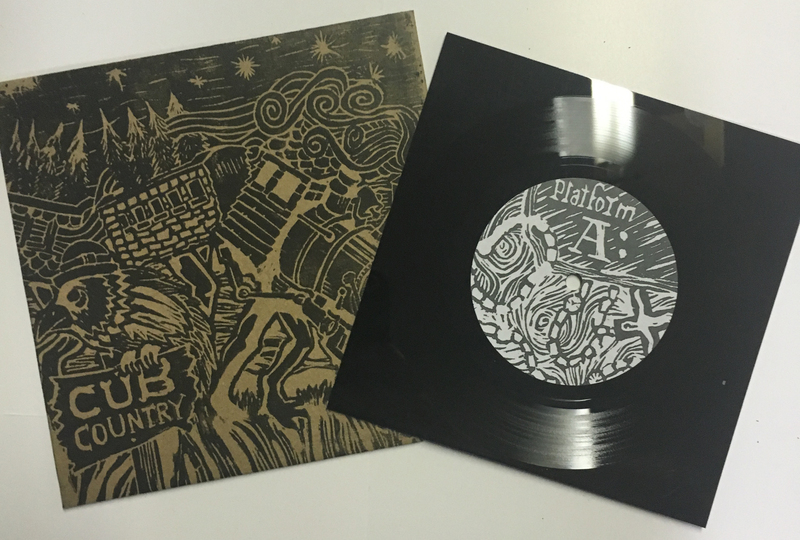 This is a great new single on black, square 7" lathe cuts in hand-linoblock-printed sleeves, made by the band. These four Eulerian Art discs were commissioned by the University of Arizona Planetary Sciences Department for their Annual Art Show. 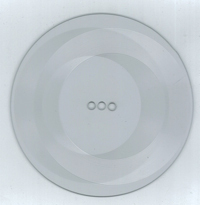 Four discs, each with sounds from outer space and a design to match. Each one is limited to 12 copies, and includes a signed, hand-typed sample tag made on a janky old typewriter. This was a one-time edition, and they will never be remade. Grandaddy, Mike Watt, Globelamp, Jeffrey Lewis, American Monoxide, Anthony Junior, Rarities sale, THE IVL DISCOS, etc! We have so many new releases from amazing artists we've been trying to work with for years! Check them all out below and buy them HERE. 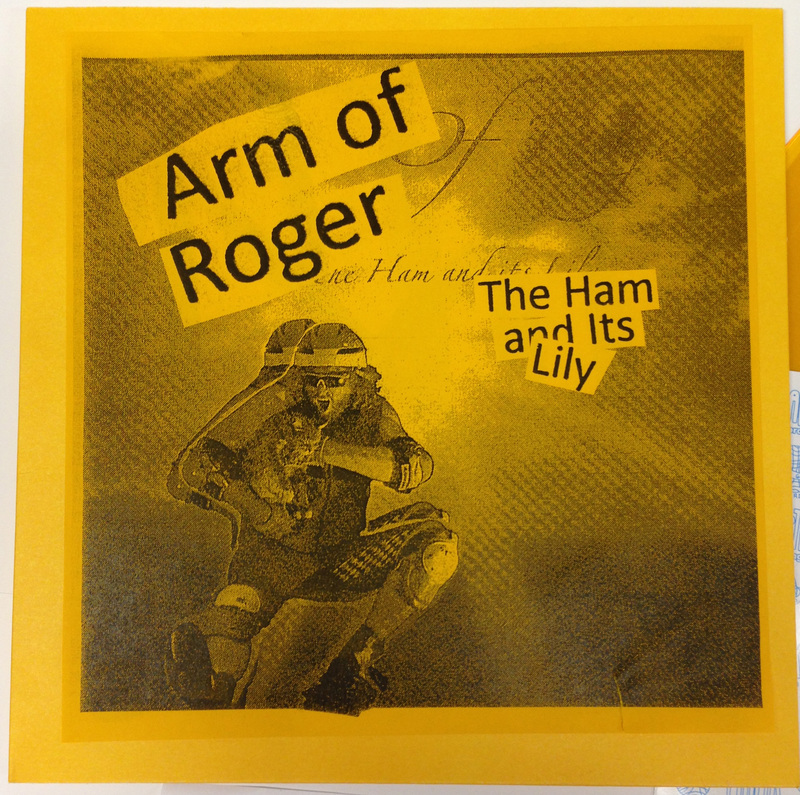 Soild Gold is beyond thrilled to announce the first ever vinyl issue of Grandaddy's "lost" practical joke record, Arm of Roger: The Ham and It's Lily! Like all Soild Gold Releases, it is limited to 200 LPs and 100 cassettes sold. 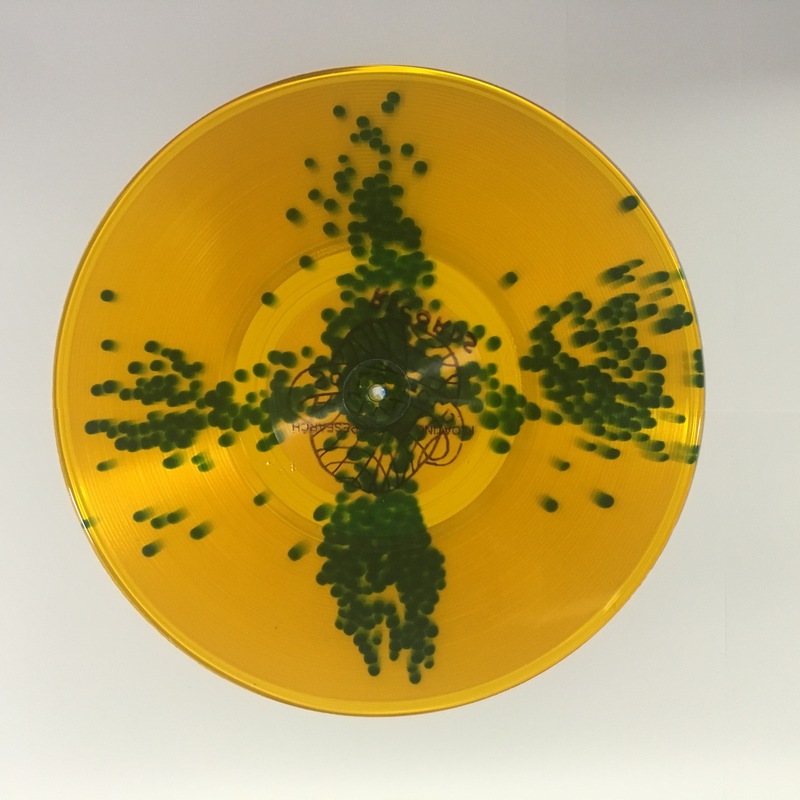 165 of those LPs are on transparent gold vinyl, and 35 copies (randomly inserted into orders) are on "mustard and ketchup" vinyl to mirror the back cover of the original CD release. This was the “practical joke” album that Grandaddy sent to their label, V2, prior to sending them the masters to The Sophtware Slump. The label was not thrilled by their “new direction”, but you will be. Songs about robots, animals, behind the scenes band drama, and female genitalia. 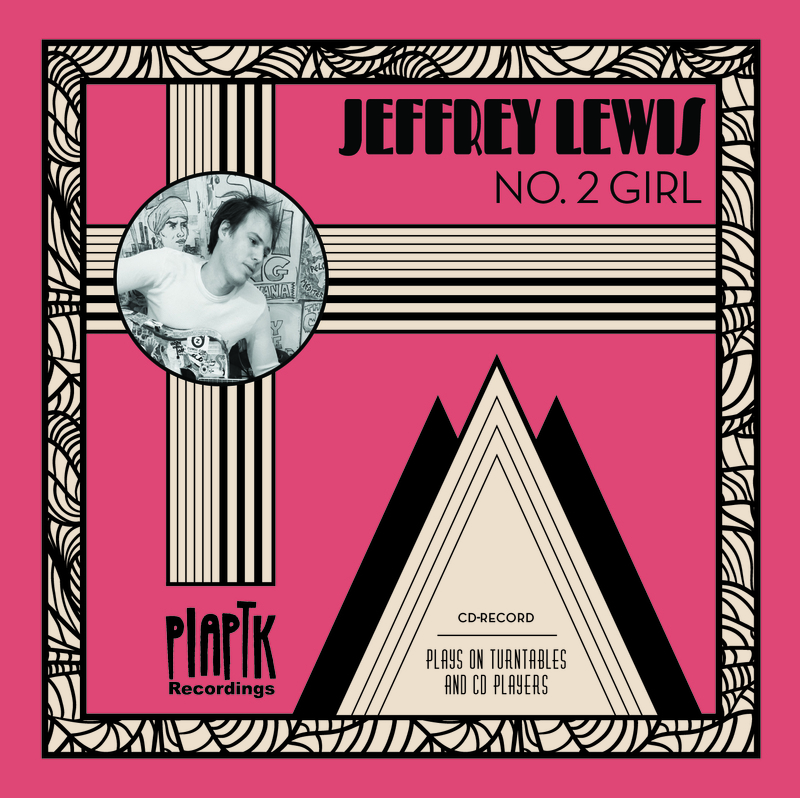 Jeffrey Lewis has been one of my friends and favorite songwriters for as long as I’ve run PIAPTK. I’ve begged him since the first day I met him to release something through PIAPTK. Persistence finally paid off. One afternoon we were hanging out in NYC and I talked him into sending me two discs worth of incredible demos and outtakes, which he allowed me to curate into an upcoming Soild Gold LP release, and to use my favorite song, No. 2 Girl, for the CD-Record Series or CD/Vinyl Hybrid discs. 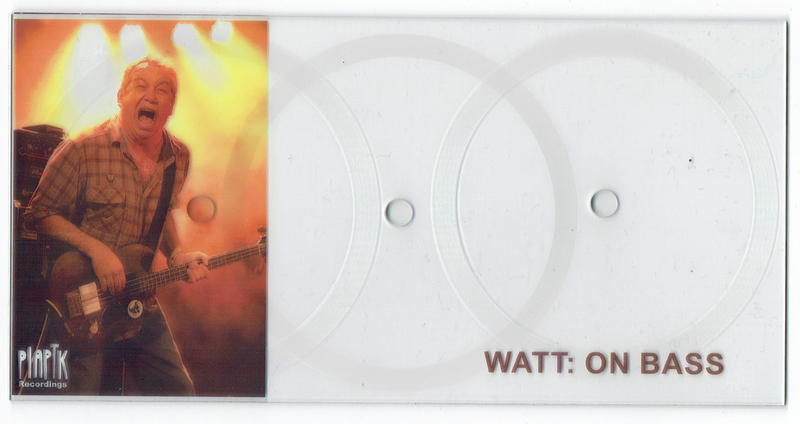 I’ve already gushed about Mike Watt here before. He is the “godfather” of punk rock. He was my first “rock star” encounter when I was 14, and was incredibly kind and generous with his time while my friends and I asked him stupid questions while geeking out about fIREHOSE and the Minutemen. And he is still that guy. When I asked him to contribute to the Eulerian Circles series he went into his home studio and knocked out three short improvised bass jams for this three-sided, 4”x8” record. It’s a kooky little collectors item, but I feel like it is the boiled down essence of the Man in the Van with the Bass in his Hand. 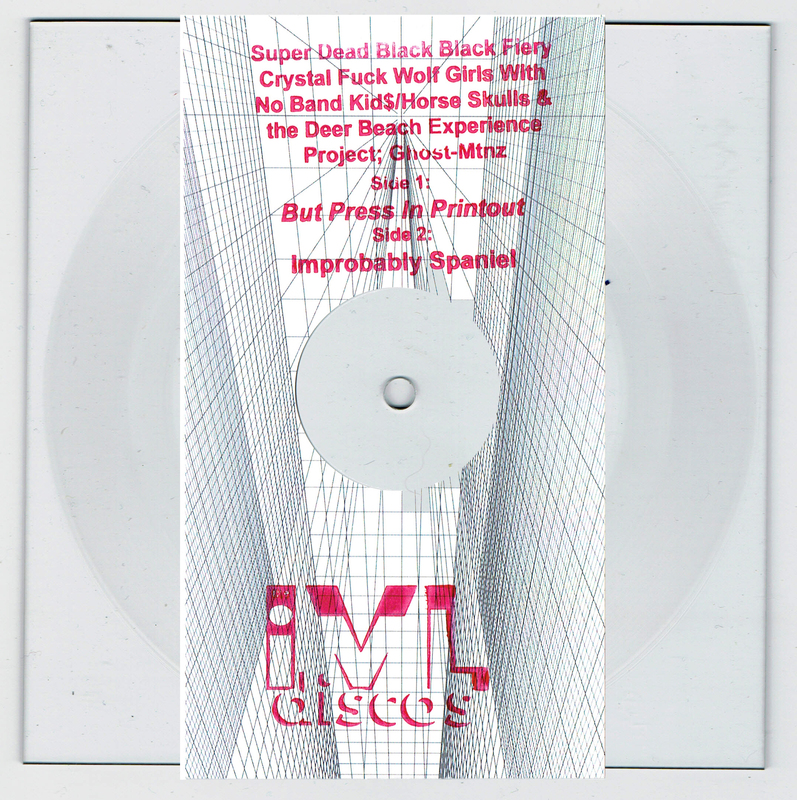 Limited Edition of 100 copies. We worked with Elizabeth Le Fey’s old band, Meowtain several years ago. After that she joined Foxygen for a while before leaving to pursue her own solo project, Globelamp. Really excited to work with her again for a new single with two hot new jams! 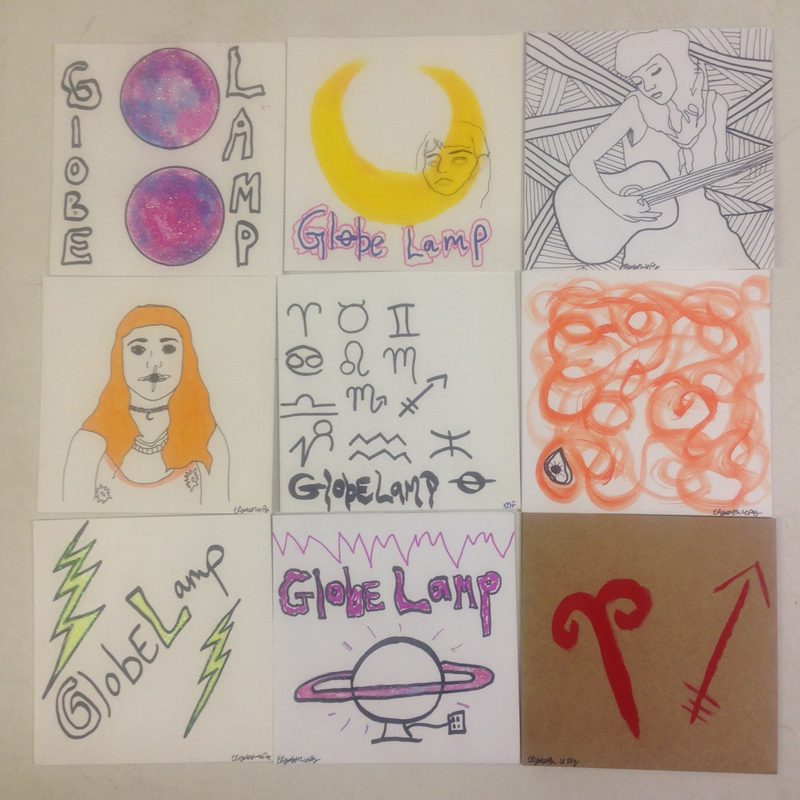 Each of these lathe cut 7” white squares comes in a unique, handmade cover hand drawn, painted, glittered, palm printed, and/or kissed by Lizzie herself with a silkscreened B-side. With every release, we put back a handful of copies for our archives and for shipping and production problems, etc. And every once in a while, we have to dig deep to raise some extra cash for upcoming releases, so we dig out the extras. We’ve added out-of-print releases from The Flaming Lips, Scott McMicken, Dr Dog, Ariel Pink, Wooden Wand, Golden Boots, Little Wings, R Stevie Moore, Benoit Pioulard, Bishop Allen, The Microphones, Paleo, This Frontier Needs Heores, Black Prairie, Lazer Zeppelin, Casiotone for the Painfully Alone, What Made Milwaukee Famous, Eric Johnson (Fruit Bats), Joe Plummer (Shins, Modest Mouse, Cold War Kids, Built In Sun, Blackheart Procession), Grand Archives, Kristofferson Tribute, Southerly, etc. 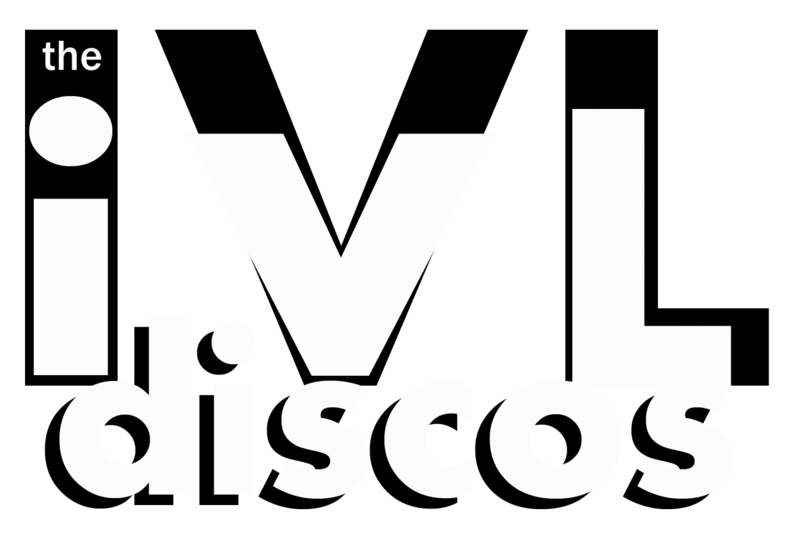 The IVL Discos is a new PIAPTK subsidiary inspired by the weird, avant garde, non-commercial side projects of so many bands that I know. Here are the details. Some of these will have been made by bands that you know and love, and some will be bands that you WOULD have loved had you known them. We have some pretty amazing artists contributing (some that we’ve been courting for years that finally came on board once we offered to let them fly their freak flags. Performed by: St. John, Petri, Morwen Moon, & Shania Pain. We sold out of the first pressing of this LP lathe cut almost instantly, so we tracked Anthony down (he’s living in Vancouver, WA for some reason), and got him to hand paint us 20 more covers. 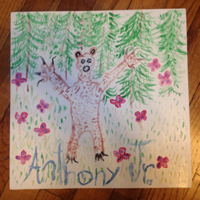 25 tracks of lo-fi outsider pop genius on one clear, lathe cut LP with hand-painted covers by Anthony himself. If you’ve been following PIAPTK from the beginning, you might remember Anthony Junior. We released several things for him before he dropped off the face of the Earth in 2008. For the people who've met him, Anthony is legendary. The legend hasn’t always been pretty, but it was ALWAYS interesting. One of these days I will write a book about my two years of living and playing music with Anthony. The Spanish band, Notes to Myself (who stayed at our house for one night), wrote a song about it called “Night at Anthonys”. Like Daniel Johnston, Syd Barret, Brian Wilson, Biff Rose, and Ivor Cutler before him, Anthony has/had intense sparks of genius, unconventional musical ideas, prolific output and certain “challenges” in day to day functioning and interpersonal relationships. Over the last 7 years, I haven’t heard much from Anthony. He went through a pretty hard time during our tenure as roommates in Olympia in 2007/2008 and we parted on somewhat unpleasant terms. Over the ensuing years he would pop up and make contact during his good periods, disappear during what I can only assume were his harder periods. He recently got back in touch, is living in Vancouver, recording new songs, and appears to be doing pretty well. In honor of that, we dug out these old covers that were intended for the release of “Magical Evening With” in 2008. These 2x Lathe cut/Cassette sandwiches sold out immediately after the last email, so we’ve made another 40 copies (second pressing on blue cassettes instead of red). 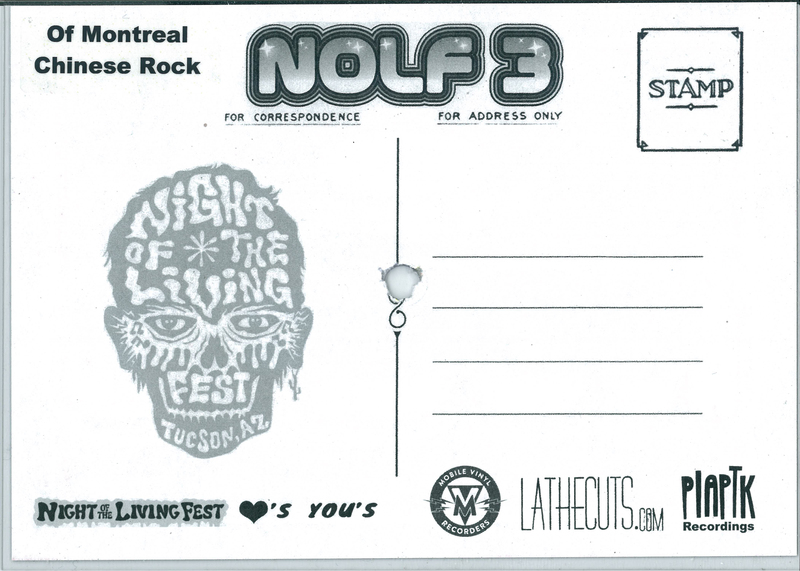 We’ve also made another run of the “standard” cassette version, which were originally only sold locally in Tucson. 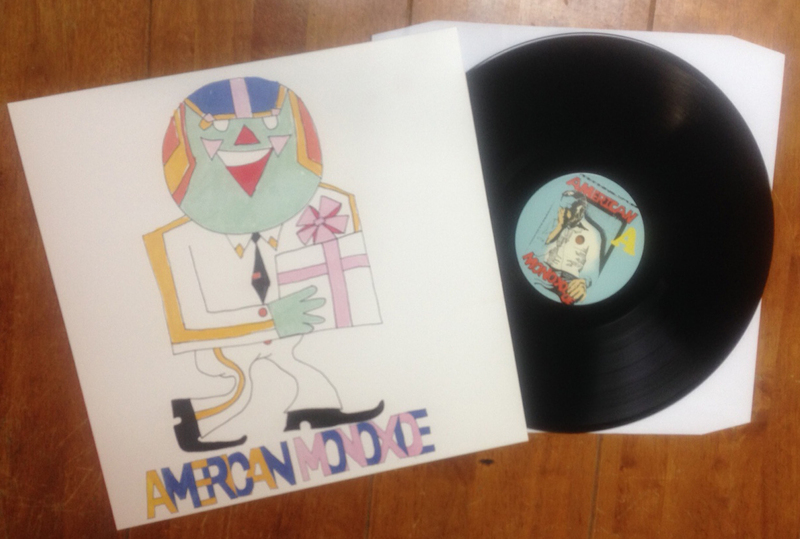 A split EP from Tucson weirdos American Monoxide (Dimitri Manos of Dr Dog/Golden Boots) and Wight Lhite. This cassette was released in two formats… The standard version on Paisley Shirt Records out of SF, and the “Deluxe Lathe Cut Sandwich” Version on PIAPTK. 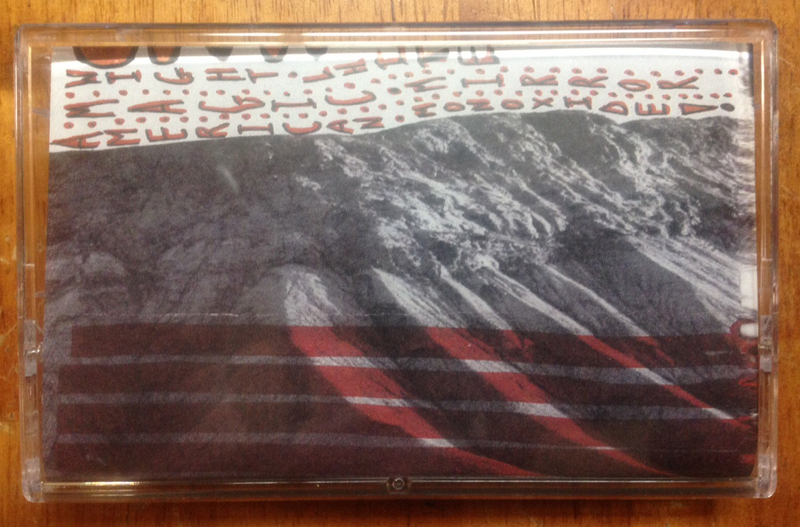 The first pressing (red cassettes) are limited to 30 copies of each version. Subsequent editions (if any) will be on different colored cassettes. Each Deluxe Version includes: One Cassette, Two Venn Diagram off-set hole lathe cuts, two bolts, two wingnuts, and four rubber mounting shock absorber grommets, and one Sathers Candy style package. Each lathe cut includes two tracks that are designed to be played in conjunction with the cassette, but can be played separately. We've got lots of great stuff coming up soon. Stay tuned! Also, if you enjoy what we do, please consider contributing to our Gratipay. Thanks! Blah Blah Blah, new stuff, please buy it. 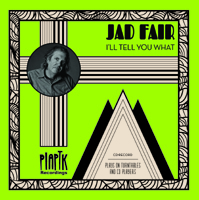 The newest additions to our on going CD-Record Series are Jad Fair and Sonny & The Sunsets. We are down to our very last copies of the Jason Lytle and Scott McMicken CD-Records, so they are only available as a full series, and there are very few of those left over. Pick them up here. 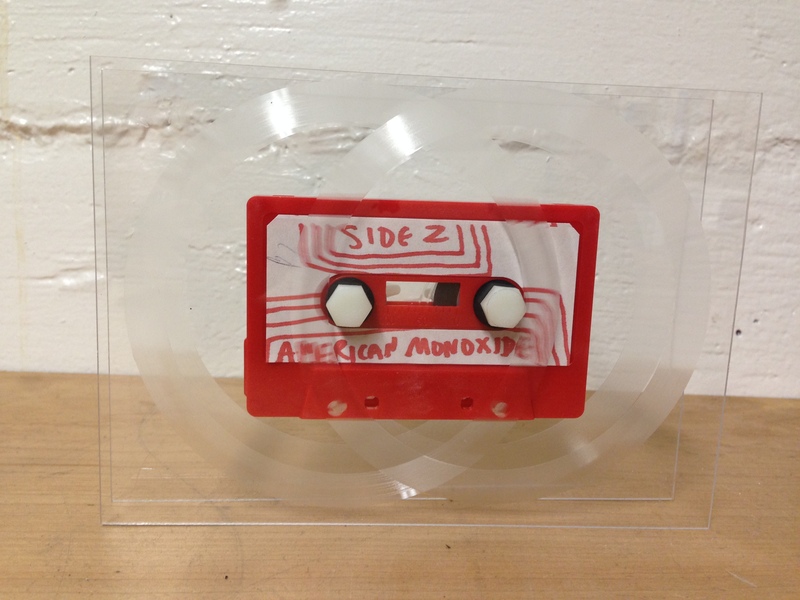 A split EP from Tucson weirdos American Monoxide (Dimitri Manos of Dr Dog/Golden Boots) and Wight Lhite. This cassette was released in two formats… The standard version on Paisley Shirt Records out of SF, and the “Deluxe Lathe Cut Sandwich” Version on PIAPTK. 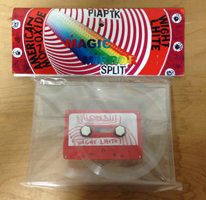 The first pressing (red cassettes) are limited to 30 copies of each version. Subsequent editions (if any) will be on different colored cassettes. Pick it up here. 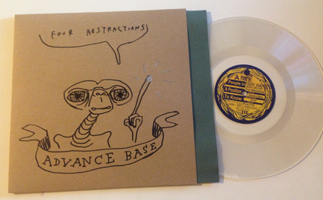 A new EP of instrumental outtakes from Owen Ashworth’s Advance Base. 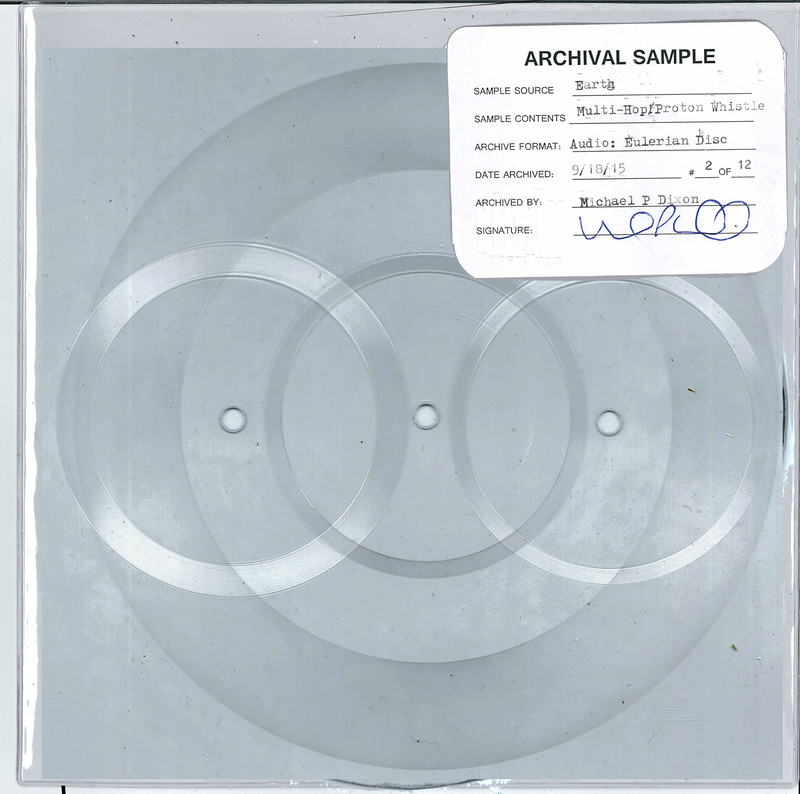 On clear, 10” lathe cuts, all in covers hand-drawn and numbered by Owen. This is limited to 50 copies. I have 25, Owen has 25. Includes instant download. 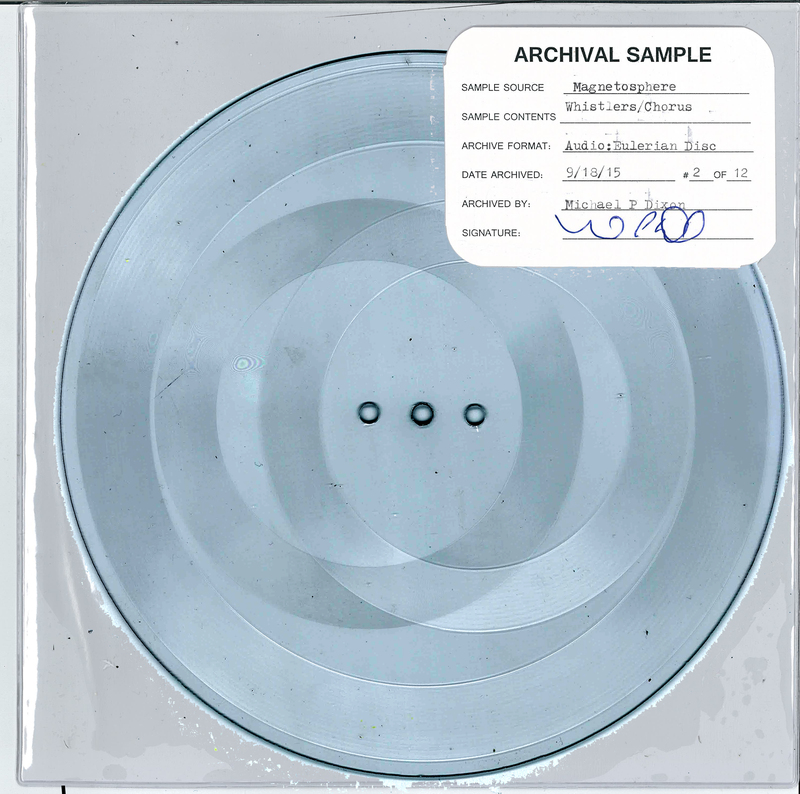 PS – We are down to our last few copies of the Advance Base/Hello Shark 7”. 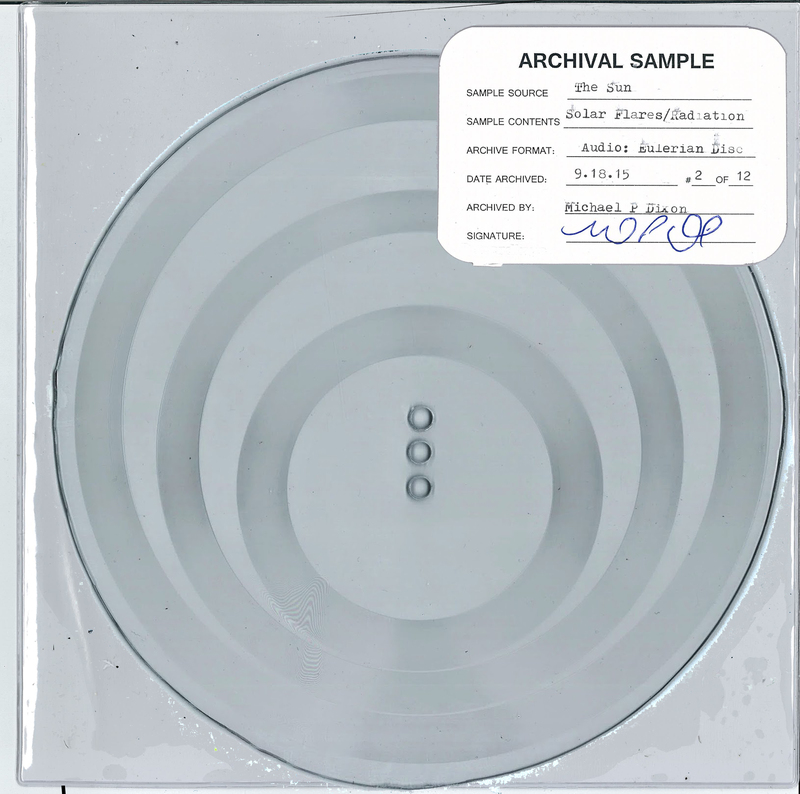 We have no plans to repress it. Get it here. 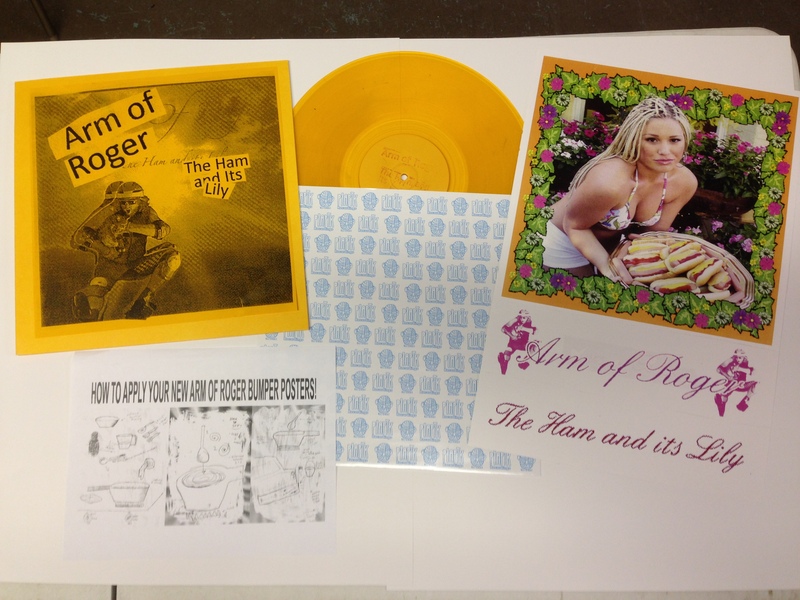 25 tracks of lo-fi outsider pop genius on one clear, lathe cut LP with hand-painted covers by Anthony himself. 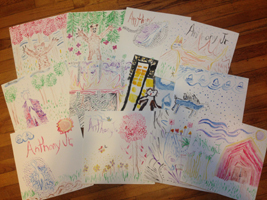 We recently found 13 covers that Anthony painted in 2008 for a planned release that never happened. The plan is to ultimately make this a run of 50 copies, with Anthony painting another 37 covers, but Anthony has never been completely reliable or predictable. So, there is a chance that these 13 copies will be the only ones made. So, this “first pressing” has been numbered out of 13, and the “second pressing” will be numbered out of 37 (if it happens). For the people who met him, Anthony is legendary. The legend hasn’t always been pretty, but it was ALWAYS interesting. One of these days I will write a book about my two years of living and playing music with Anthony. The Spanish band, Notes to Myself (who stayed at our house for one night), wrote a song about it in the meantime, it’s called “Night at Anthonys”. The new single from the Built In Sun LP is starting to get picked up at radio stations across the country, and is being debuted now at Death & Taxes, with a new video coming very soon! 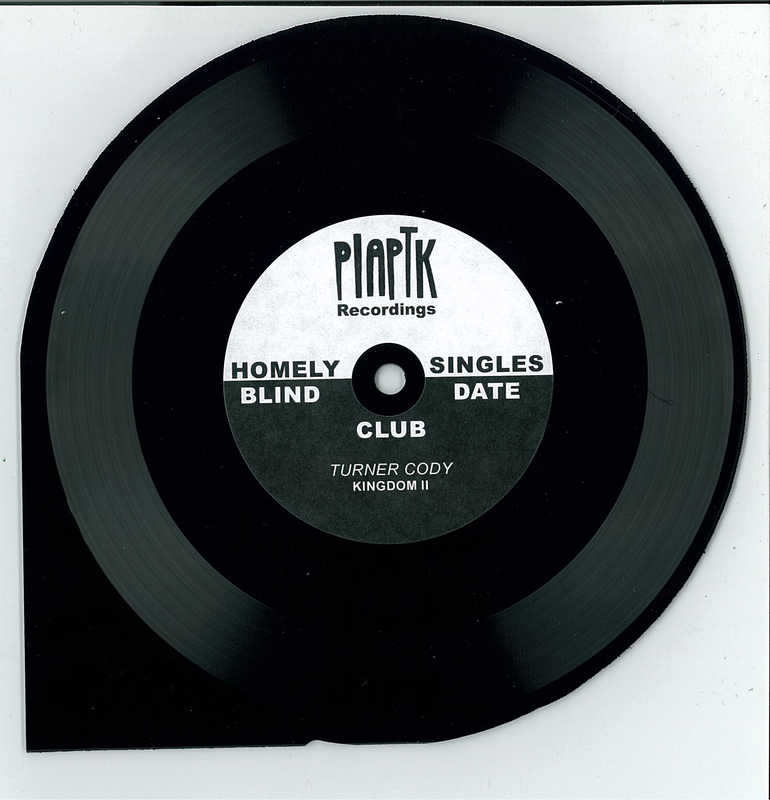 Just a reminder that this is the LAST CHANCE that you have to preorder the LP and get a bonus lathe cut semi-flexi 7” with new, unreleased tracks from Joe Plummer and Pall Jenkins (Three Mile Pilot, Blackheart Procession). Lathe cut 7”s come with ALL preorders, including black vinyl, but will not be available after the first shipment of preorders, approximately Aug 1st. 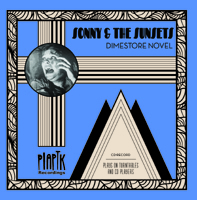 Joyful Noise, our buddy company, is also about to post the news about the release, and they have a MUCH bigger and more rabid audience than us weirdos do, so the chances of us selling out of our copies of both the one-time pressing of Silver with Blue haze color in color vinyl and black are pretty high. 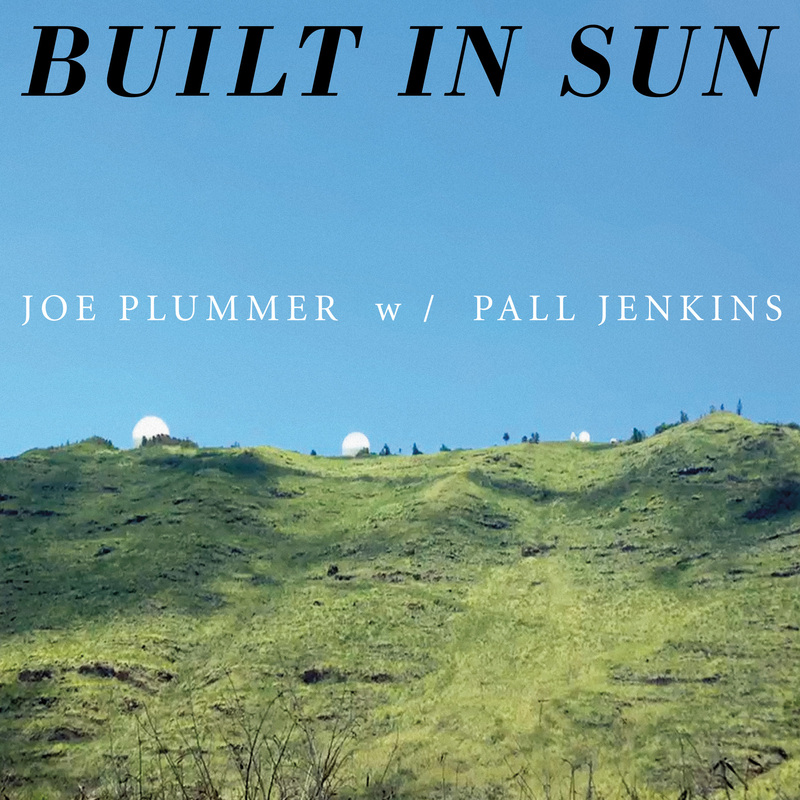 We are so excited to announce the debut album from Built In Sun, the new project from Joe Plummer (The Shins, Cold War Kids, The Blackheart Procession, etc) with Pall Jenkins (The Blackheart Procession and Three Mile Pilot) on vocals and Richard Swift on Bass. 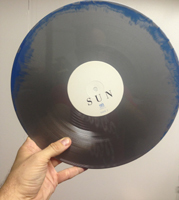 There will be a limited edition of 250 copies will be on "translucent aqua inside silver" vinyl. The rest will be on glorious black vinyl. 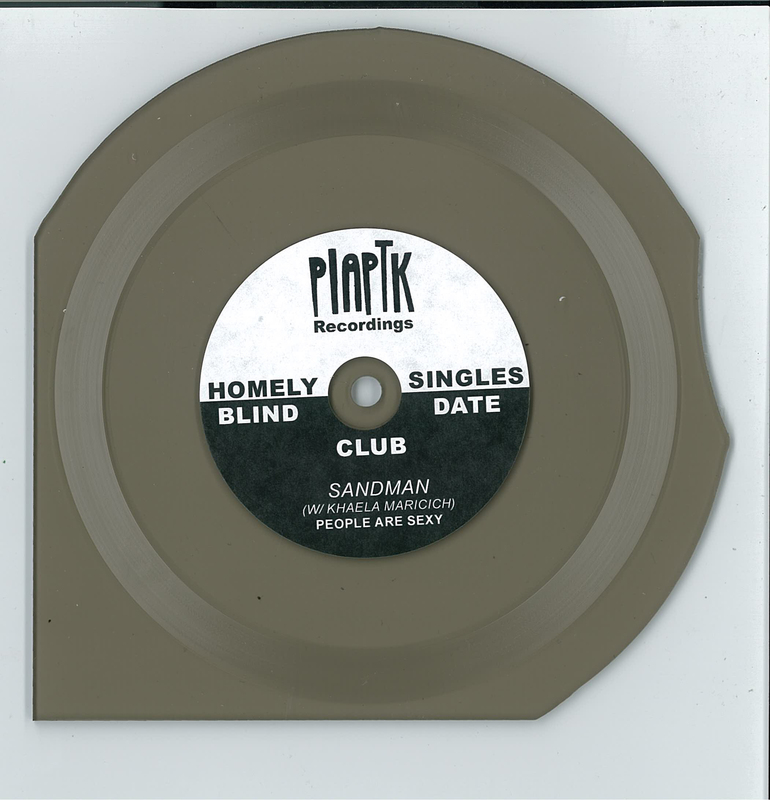 All preordered copies of the special colored vinyl will include a bonus 7" clear, square semi-flexi lathe cut of an instrumental non-album track! Pick them up HERE! PLEASE NOTE THIS IS A PREORDER: ORDERS WILL SHIP IN TIME TO ARRIVE FOR AUG 7th RELEASE DATE. Any items ordered with this item will not ship until that time. 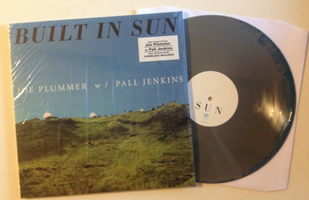 Built in Sun - ST LP from Joe Plummer & Pall Jenkins with Richard Swift. Flaming Lips on PIAPTK! 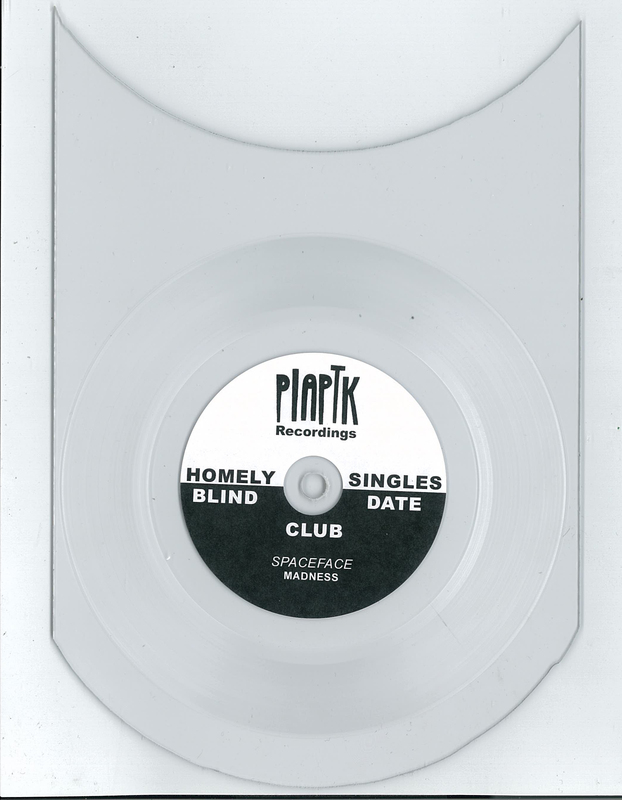 SpaceFace and Blank Tapes Multi-Holed Art Records! We just got back from PsychFest, cutting records for the Flaming Lips, and due to threatening weather conditions, we shut down early and have some copies available to sell. 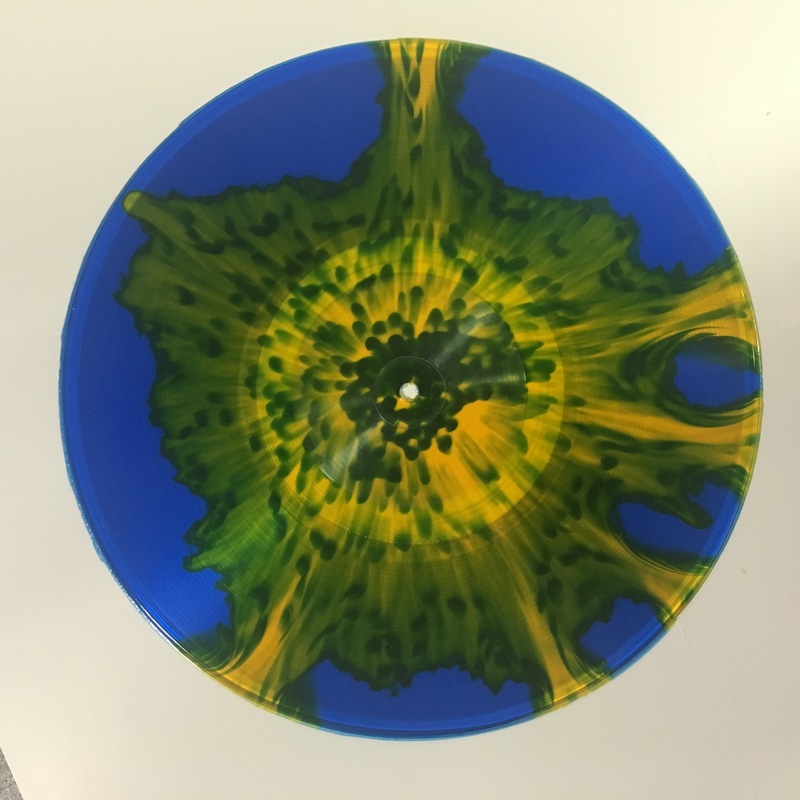 This is a Flaming Lips Record on PIAPTK! A teenage dream come true! Also, since I'm going to guess that this email might get a few more opens than my last one, I'm including all the stuff from the previous email underneath the new stuff. So, hopefully everyone will check out some of our other releases! 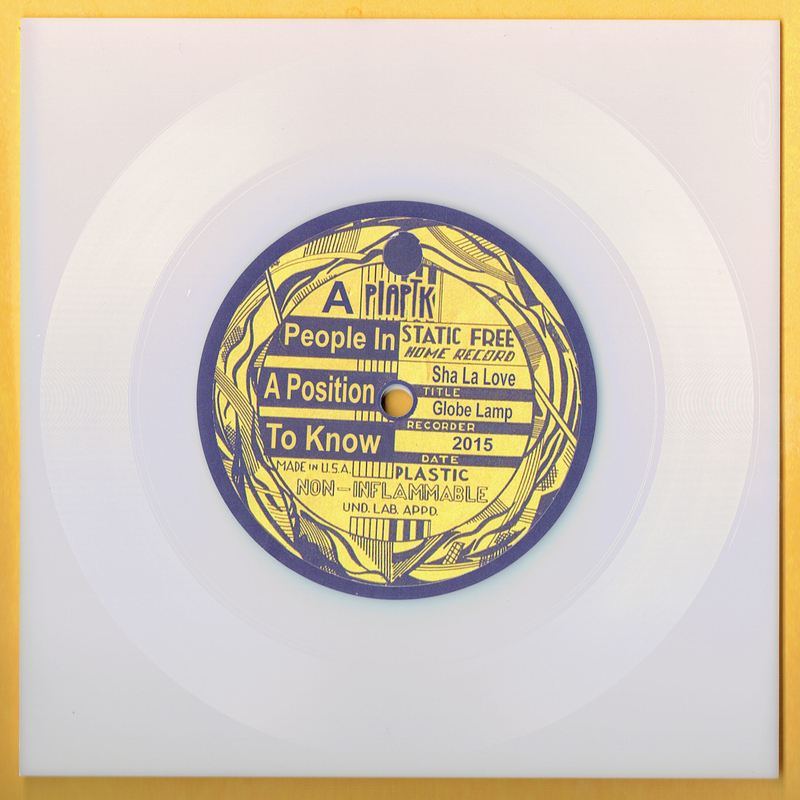 These 3-holed, 4 sided lathe cut records were created for Austin Psych Fest 2015. The plan was to sell them exclusively at the festival, but due to inclement weather, last minute notice and weird booth location, we have a handful leftover for sale through the site. There were 350 made, and they will never be repressed. 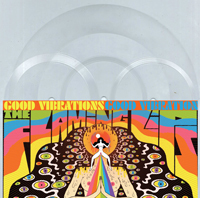 Includes a cover of Good Vibrations and three short "remixes". The large groove and center small groove are on side A and the two outer small grooves are on Side B. 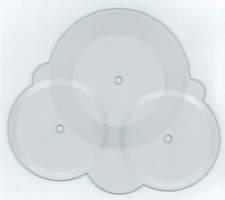 The small grooves may not play on some automatic turntables. You may need a DJ style manual player. Due to licensing restrictions, purchase of the Flaming Lips record does NOT include digital download. Sorry! *Note... there are a lot of people that want these. Please do not buy them just to flip on eBay. We will know, we will be bummed, and your karma will suffer. 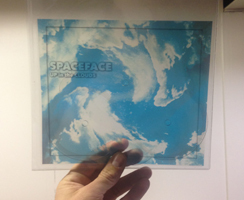 A 3-sided Cloud Shaped 8" lathe cut from Memphis psychedelic DIY Lighting Pioneers, SpaceFace. 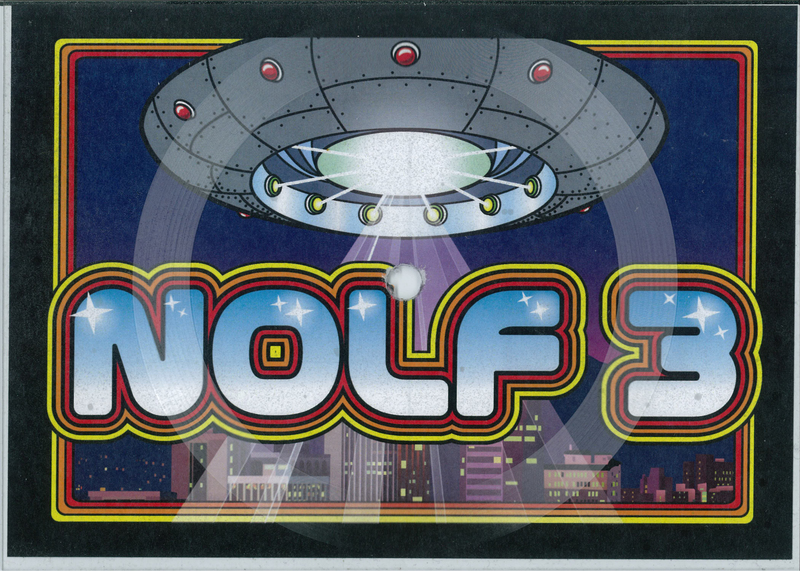 Includes the tune Up In The Clouds plus two short loops, one keyboard and one vocal loop. Spaceface includes Jake Ingalls, The touring Guitarist for the Flaming Lips. 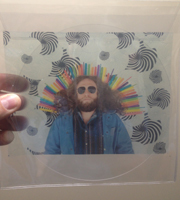 An EP of new hits from SoCal pysch poppers, The Blank Tapes. 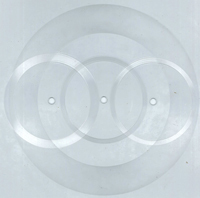 Has 2 off-set grooves that cause a min-melting optical illusion on clear plexiglass. With a transperency insert.